Humans might have more in common with fish than previously thought, a new University of Queensland visual illusion study indicates. 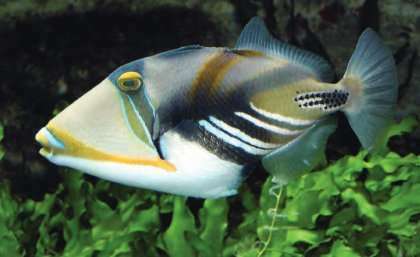 UQ School of Biological Sciences and Queensland Brain Institute researchers have found that triggerfish, a common Great Barrier Reef species, are fooled by visual illusions in the same way as humans. Researcher Dr Karen Cheney said she found illusions a fascinating area of research. "They demonstrate situations when our brains fail to perceive the true properties of what we are looking at, in terms of colour, brightness, size, shape and movement," she said. "It's not entirely clear why we see illusions, but there are a few different ideas. "Overall, they occur due to processes on the retina or in neural pathways closer to the brain." 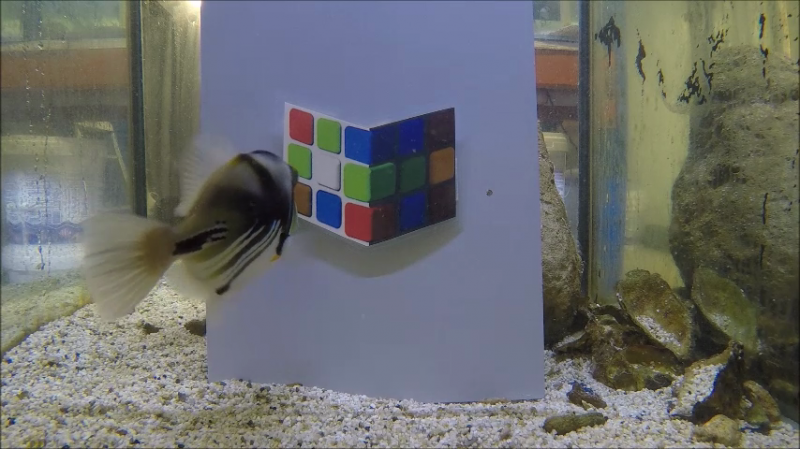 To see whether fish would perceive complex illusions in the same way as people, Dr Cheney, Professor Justin Marshall and Science honours student Elisha Simpson undertook a "lightness cube illusion test". In the experiment, which still baffles observers and is not fully explained by science, an orange square on the top of a cube is perceived to be different from a brown square on the cube's side, even though they are actually the same in colour and brightness. "We think the illusion occurs because the brown is perceived to be in shadow and therefore our brain encodes it as darker than the 'orange' square, which is perceived to be out of the shadow," Dr Cheney said. "We tested whether fish also perceived this shift in lightness of these coloured squares, using behavioural experiments with a food reward. Both fish and humans love this sort of test. "They were first trained to approach and peck at one coloured square (orange or brown – that were actually different from the other) to receive a food reward. "In the test phase, the fish were then presented with the illusion in which the 'orange' and brown are actually the same colour (but we perceive them to be different), and the fish preferentially chose the square that was most similar to their trained colour. "This indicates they also 'think' the target is lighter coloured and that they perceive the two squares to be different." Dr Cheney said it was interesting to demonstrate that non-human species perceived illusive objects in apparently the same way as humans. As fishes' neural processing was less complex, it was possible that at least part of their fundamental mechanisms for illusory perception happened early on in the visual pathway. She said scientists had now demonstrated the ability to detect lightness illusions in a number of species, including butterflies, guppies and now, for the first time, in a Great Barrier Reef species. Professor Marshall said the studies were leading to new thinking about how the inhabitants of brightly coloured coral reef environments perceived their surroundings.